Developer Quantic Dream’s next title, Detroit: Become Human, is slated to launch next month, but the studio is making news ahead of its release, as it has filed suit against French media outlets Le Monde and Mediapart. The suits were filed in response to reports published in January profiling the studio’s unhealthy work environment and management. According to Kotaku, the studio’s founder, David Cage, confirmed the legal action during a preview appointment for Detroit: Become Human last Thursday. “We’re suing their journalists,” said Cage. The lawsuits are reportedly the first by a studio filed against a media outlet for negative reporting. 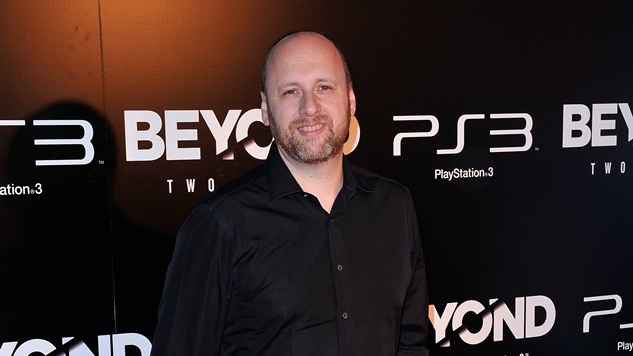 The decision follows threats of litigation by both Cage and Quantic Dream CEO Guillaume de Fondaumière after retracting their statement denying the claims of sexual harassment and racist, sexist and homophobic language and imagery used within the office. William Audureau, who published his piece to Mediapart and Canard PC, confirmed that he is preparing paperwork to fight the developer’s suit. Despite the suit, Audureau sticks by his reporting. “The story has been written sincerely, following a well-documented, thorough investigation, respectful of the principle that both sides must be heard,” Audureau told Kotaku. Canard PC stands as the only outlet not included in the lawsuit, though it received “threatening” letters from Quantic Dream both before and after the report’s publication. Now, both Le Monde and Mediapart must prove that they exhibited fairness and “good faith” in their handling of the story. According to Canard PC’s Ivan Gaudé, the publications will have to show the judge that they reached out to all parties involved, offered those parties’ perspectives, and used “the appropriate caution” in their reporting. The lawsuits are an unprecedented move by the studio, but there should be little surprise that Cage and company would go so far to protect their studio’s image. After all, Cage’s defense against the claims in January was problematic. “You want to talk about homophobia? I work with Ellen Page, who fights for LGBT rights. You want to talk about racism? I work with Jesse Williams, who fights for civil rights in the USA … Judge me by my work,” he said.